Great pistol, great service. Use the pistol as a track and field starter. I use it for starting track meets. It is quite loud and works very well. I am very satisfied. "I would highly recommend it to anyone looking for a reliable blank pistol." I'm a starter for track and field. I already had an Alfa .22, and now purchased the Alfa .32. The .32 works flawless. I would highly recommend it to anyone looking for a reliable blank pistol. I'm a USATF official. I use my alpha .32 as a starter. I used it for the first on last Saturday. It worked perfectly. I give it an excellent rating.
" The pistol was an excellent replacement for our .22." The pistol was an excellent replacement for our .22. Good quality, sturdy, nice feel and weight. 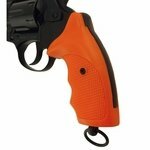 The orange grip is a plus! 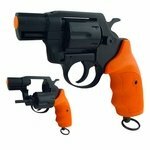 Purchased this gun to use as Starter Gun in track and field. I love it. Good product. "I examined my kit when I received it, and it appears to be top rate, very well made." Got this pistol as a back-up, as I do starts for track and field. The season is currently over, but some of my colleagues use this model, which is why I chose it. I examined my kit when I received it, and it appears to be top rate, very well made. The accessory package and the price make this purchase an excellent one. I'll be using it soon, as I also do starts for cross-county. Before then I'm sure that I'll take it out and break it in, probably while on a hike with the vizslas. I'm if not satisfied with it, GunDogSupply will be the first to know. But I really can't imagine that happening! "Very nice construction, should last a long time." Very nice construction, should last a long time. The gun feels good in your hand, and the action is very much like an actual pistol. It's also reliable, no jamming and getting caught up as with cheaper models. Pull the trigger, and it works. In my mind, this is very worth the money. I have not used my new 32 cal. gun yet, but will use it in April for the District Track Meet. I use my pistol for starting track meets. I have shot over 400 shells in the last 10 days. Gun is functioning very well. Keep it clean. Prompt shipping, easy checkout, everything was delivered as I expected. Also was the best price on the internet. I have two of these I use for track and field. Much better than the cheaper models. Trigger pull is very comfortable, finish has held up well to black powder (clean appropriately) blanks. Definitely worth the $40-50 additional cost over the cheap versions which with the heavy trigger pull and awkward size grip (at least for me) make it very hard to quickly shoot again in case of false starts. Also a better deal here than most other places as the price is lower and includes a sturdy leather holster. 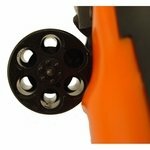 Purchased starter gun to use to start track and field events. It will need to a meet a standard of shooting an average of 45 shots 4 to 5 times per week during the track and field season. Most weeks I will fire it to start 200 - 250 races. Hope it can meet that standard! Restricted shipping. ONLY Available to U.S. addresses accessible via FedEx. Shipping prohibited to Puerto Rico. These blank pistols are not props and can cause serious injury if used improperly. They are not recommended for use in theatrical productions or indoors. 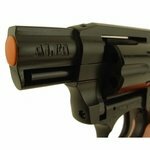 The Alfa .32 Caliber Double Action Blank Starter Pistol is a rugged and reliable designed dual action revolver with the superior manufacturing quality of the Alfa pistols. Six shot swing out cylinder allowing for easy loading and unloading. The lanyard ring in the bottom of the handle for added security. 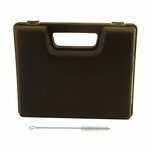 Comes complete with a hard shell carrying case and cylinder cleaning brush. 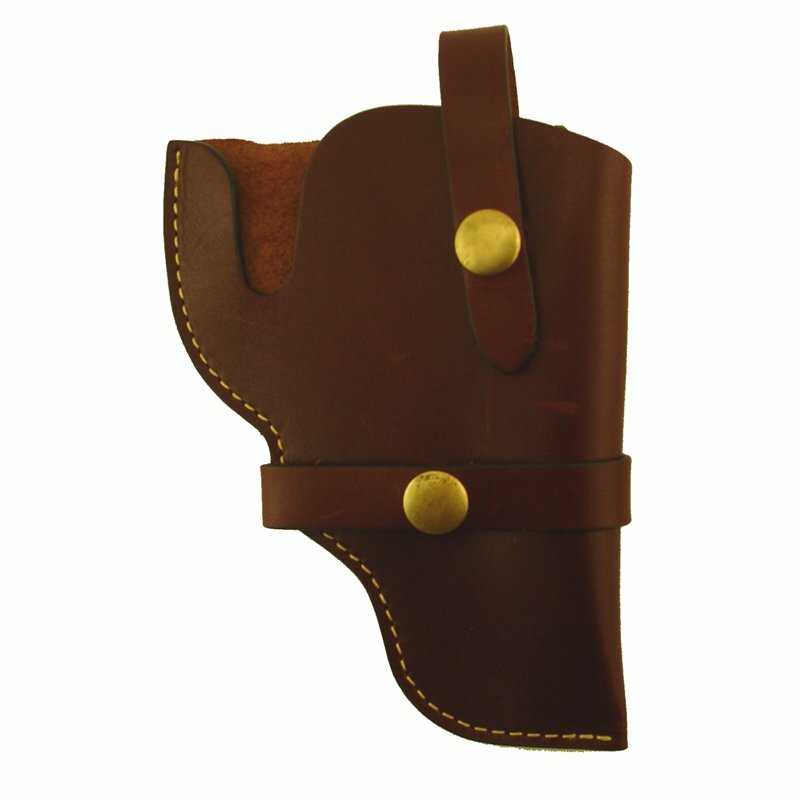 The TBI Leather Large Frame Holster features quality, hand crafted, mahogany tanned leather with solid brass hardware. 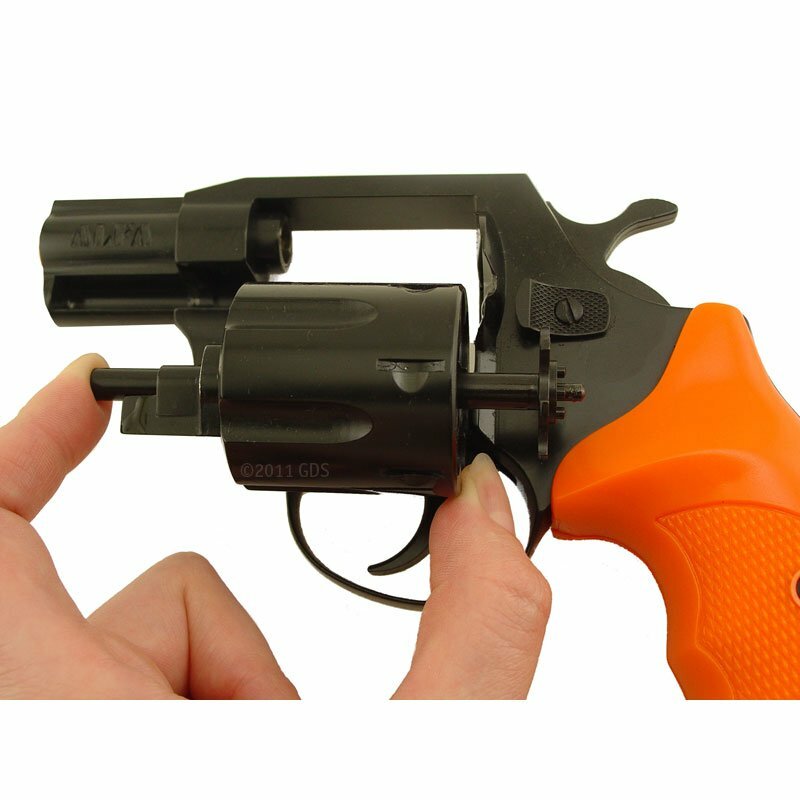 NOTE: Use and/or possession of Blank Pistols (Starter Pistols) and Blanks is prohibited and/or restricted in some jurisdictions. Laws change frequently. 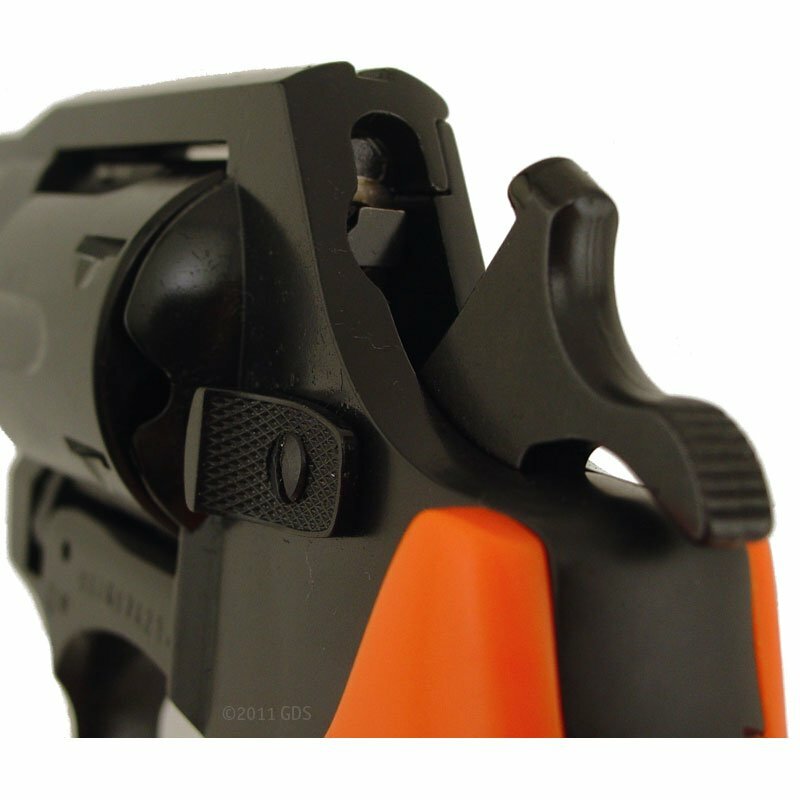 Therefore, all buyers should check with local authorities prior to ordering pistols and/or blanks. In addition to offering repair and service, Alfa-Proj warrants to the original purchaser that the product is free from defects in materials and workmanship under normal use. Damage due to abuse, misuse, neglect or unauthorized adjustments or modifications made or attempted by anyone other than the stated factory repair service is excluded from this warranty. The Lifetime Service Policy covers functional defects. Alfa-Proj will repair or replace, at its option, any defects due to faulty materials or workmanship. First, the purchaser must return the warranty card with proof of retail purchase to: Elite Custom Guns, 2522 Tranquil Way, Sevierville, TN 37876-0170 within thirty days of purchase. Please include a copy of your purchase receipt. 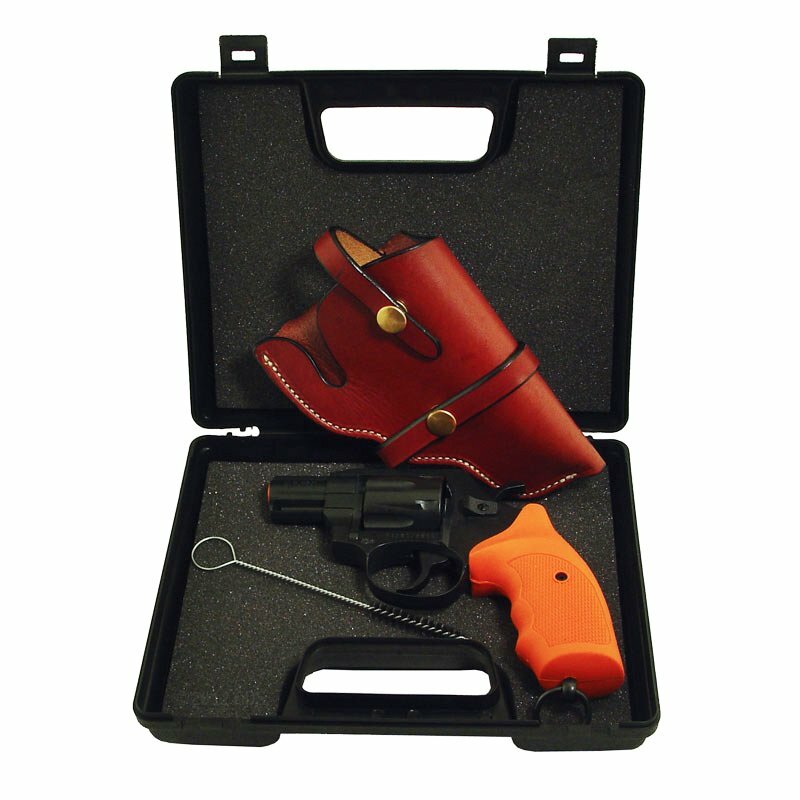 Second, the purchaser must notify Elite Custom Guns service department, in writing or by e-mail (elitecustomguns@gmail.com), stating the difficulty experienced and the date and place of original purchase. 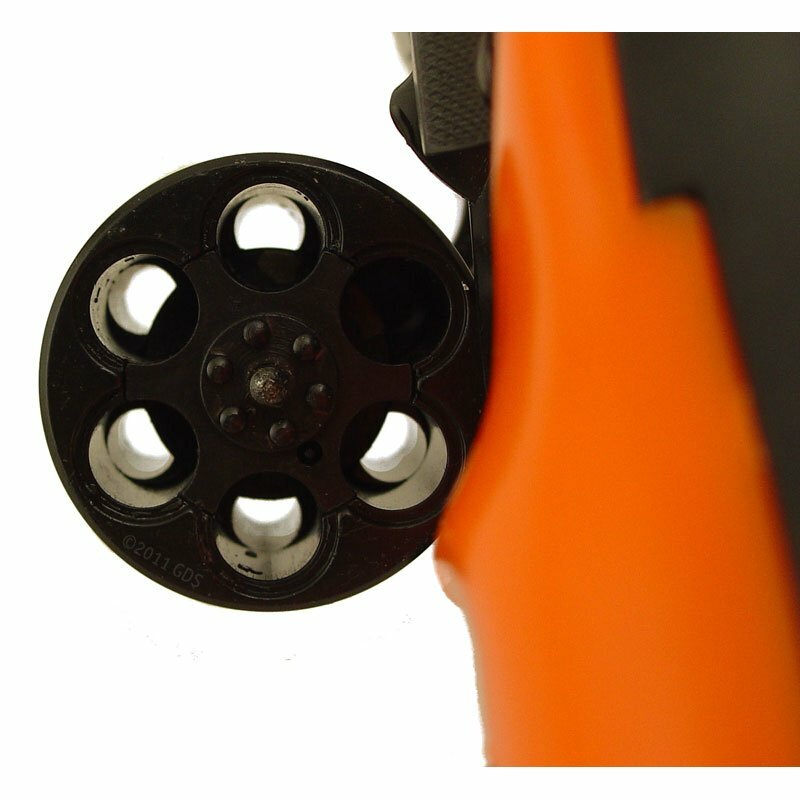 Excluded from this warranty are malfunctions caused by misuse or abuse of the starter revolver, damage due to lack of proper cleaning and maintenance, unauthorized modification, adjustments or repairs, shipping damages, careless handling, normal wear and tear, and defective or improperly loaded ammunition and corrosion. Alfa-Proj's responsibility under this warranty is limited to the repair or replacement of the revolver. Responsibility or liability for damage to property other than the revolver, personal injury or death, or consequential damages is SPECIFICALLY EXCLUDED. Country of Origin: Made in Czech Republic.